Looking for a stylish sedan? Then, this 2017 Accord LX is for you! It is on display in the “White Orchid Pearl” colour, and has a grey fabric interior. Under the hood is a 2.4L, 16-valve, Direct Injection, DOHC, i-VTEC, 4-cylinder engine with a Continuously Variable Transmission (CVT). This engine and transmission combo has an average fuel economy of 8.7/6.6/7.8 L/100km (city/highway/combination). The 2017 Accord LX is decked out with 17 inch aluminum-alloy wheels, a chrome grille, and front splash guards. The interior stays nice and quiet thanks to its Active Noise Cancellation. The Accord also comes with heated front seats, and a second row of Magic Seats. 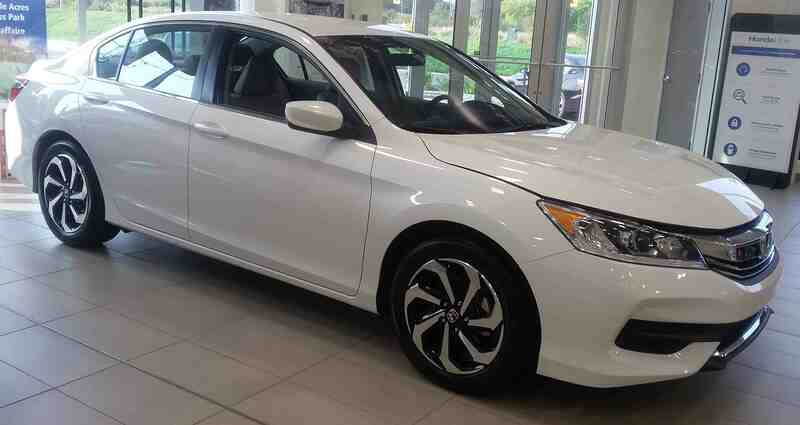 The LX trim level is filled with Honda’s best technolgy! It comes with HondaLink Assist, Eco Assist, the ECON button, and a multi-angle rearview camera! 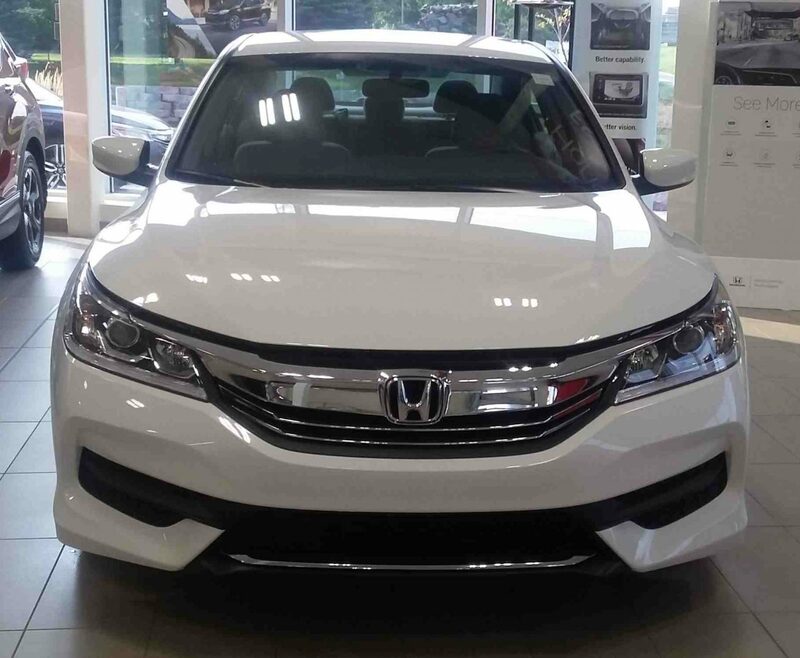 To listen to music, use apps, or make handsfree calls, the Accord is compatible with HondaLink, Bluetooth Streaming Audio, Apple CarPlay, and Android Auto! If you have any questions about the 2017 Accord LX, click here to contact us! If you would like to see more of the 2017 Accord, click here!